Some time ago our fearless leader rescued (bought) the remaining stock of Widder Lectric heated gear and accessories as a service to the IBA membership and Widder gear wearers among us. The vests were very well crafted here in the good old USA and are known to last many years. Many have been in service over a decade! These items have been available (sitting around) on the e-Store https://ibaestore.com/index.php for far too long! I have signed on to help get this gear into circulation. Starting now, any Widder vest purchaced on the e-Store will have that weird Widder plug replaced (by yours truly) with a contemporary standard 2.5mm coaxial plug before being shipped to your door. 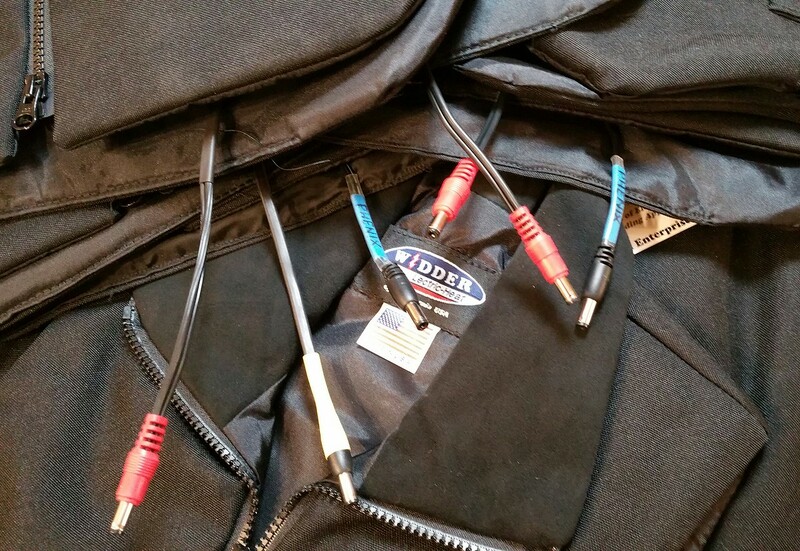 That's right, you'll be able to plug your new Widder vest into your Warm and Safe HeatTroller or other PWM controller. 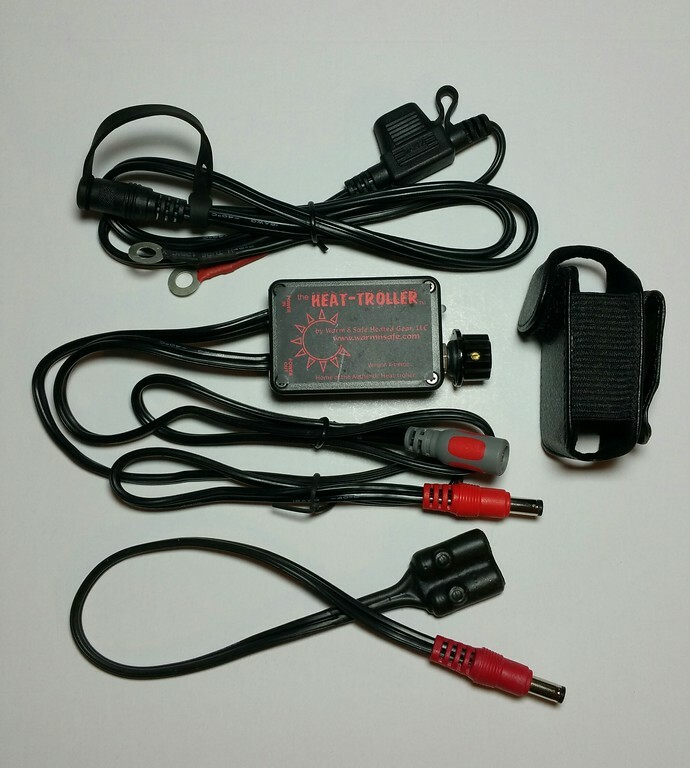 I will also be producing various adapters and switch cords to help keep existing Widder products going. Check the e-Store in the coming weeks for availabily. We're still working on the e-Store pricing for the System I and System II vests but for now assume the (way cheap) posted prices are for the vest only without cords. And of course I'll be happy to address your individual needs here on this forum. I have also teamed up with the fine folks at Warm and Safe to make bona fide HeatTrollers and other accessories available on the e-Store. Why am I posting this in the middle of summer? Quantities are limited. Supplies of certain sizes are sparse. So don't wait for winter - let's put the rest of this quality Widder gear to good use! Well now, ain't that just too cool. Can I pull that old Widder stuff I've got sitting on a shelf and send it to you for new plugs that will work with my Gerbing controller, or will it only work with the W&S? It's even easier than that Brian. You just need the coax to Widder Adapter, it's already up on the e-Store. I can make it any length you like. And yes, it will work with your Gerbing controller. Do you have any other Widder garments besides the vest? I think I've got chaps too, but I'd have to go look. Might even have some gloves. OK cool. We can make the leg chaps work with the Gerbing controller too. As for the gloves, your new ones are Gore Tex and 20 watts each. 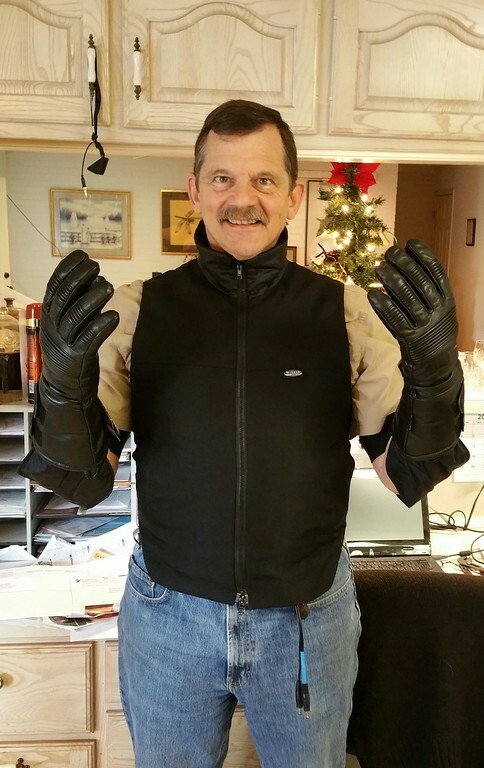 The Widder gloves are 12 watts a piece and not waterproof. Here's a bit of good news for those, uh . . . eh - hem . . . more portly among us. 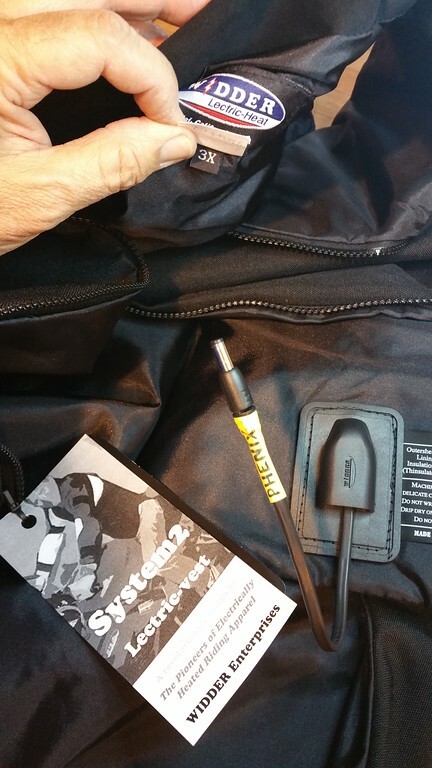 I tested a number of vests and discovered the System II vests labeled 3XL (size 56) are nearly 20 watts hotter than the other sizes. These are an even better deal at $80 and they will all have standard 2.5mm coaxial plugs. That price is for the vest only plus around $13 shipping. And I can hook you up with the Warm and Safe Heat-troller of your choice. There aren't many of these System II 3XL (size 56) vests. Take measurements while sitting on your bike in a relaxed posture. Then refer to the size chart and go one size up. These vests fit snug. Check out through the e-Store or give me a shout. New Technology for Widder vests! New Widder style on/off switched extension cords are available. We are also putting together a conversion package featuring a Warm and Safe Heat-troller, leather swivel clip pouch and coax to Widder adapter. Give me a shout and I can fix you up with vest and controller. THE GREAT WIDDER VEST PLUG CONVERSION FEST IS IN FULL SWING! 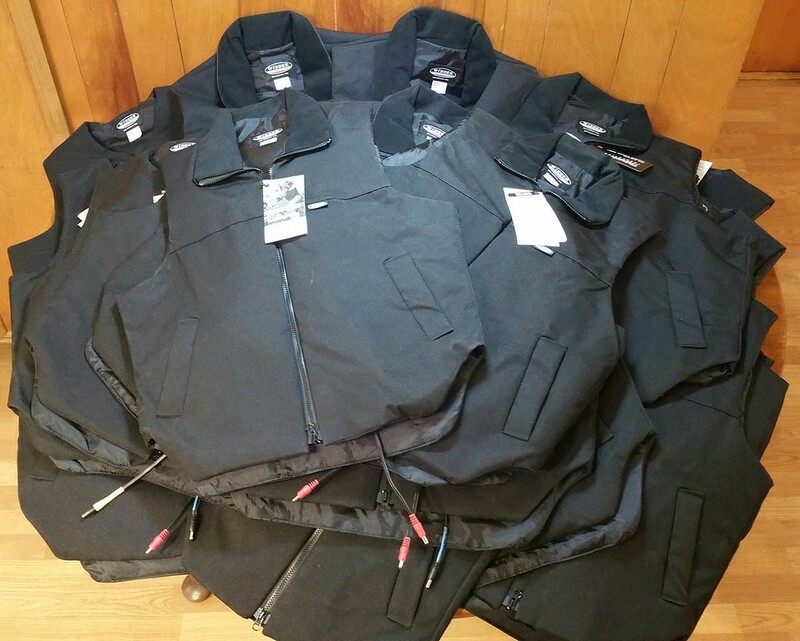 As I mentioned before, someone we know inVESTed in all the remaining Widder stock a decade ago and these super high quality American made vests have been sitting on the IBA eStore with no thermostats to plug into. No longer. Now they will plug right into your Warm and Safe or Gerbing controllers. And if you need one, I can "hook you up" with the Warm and Safe Heat-troller of your choice. You can't beat this deal. System 1 vests $70. System 2 vests $80. Shipping within the 48 states is $13. Supplies of certain sizes are limited. Check out on the eStore or give me a shout. 409-363-1417 Remember, I can also ship Warm and Safe Heat-trollers to go with these vests. Hello Ken, I'm Ken too. New here and I'm looking to buy a System 1 Widder. I thought all Widder stuff was gone long ago. I'm impressed with the System 2 I've had for many years although I sometimes wish for something that packs smaller. I'm not current on heated gear developments; is there a thread where you could direct me to learn about why one should want the Warm and Safe controller you're converting these vests to? Do you sell such controllers? Or a simple (and light and compact) on/off switch? Thanks and thanks for rescuing these treasures, Ken. What size do you need? I'll be home on the 16th and I'll check for your size. Yes the Widder thermostats are long gone. That's the main reason I'm changing the plugs. As you know these vests last for years but they weren't selling with nothing to plug them into. Now they will be compatible with just about every controller on the market today. The Warm and Safe Heat-troller is the best quality imho. There's also a 4 position button controller for $35. which is what a simple on/off switch costs to produce. Yes, I am an authorized Warm and Safe dealer. I can get you everything you need. Give me a shout anytime. There are more in the "warehouse" so check with me for availability is you don't see your size here. Here's an updated list. More vests arrived today. Thanks Mike. I bought one of these from Ken and am super impressed with the quality of the vest. Im hooking it up this weekend and am excited to see how it works. There are at the moment two ways to have your new Widder vest equipped. 1. 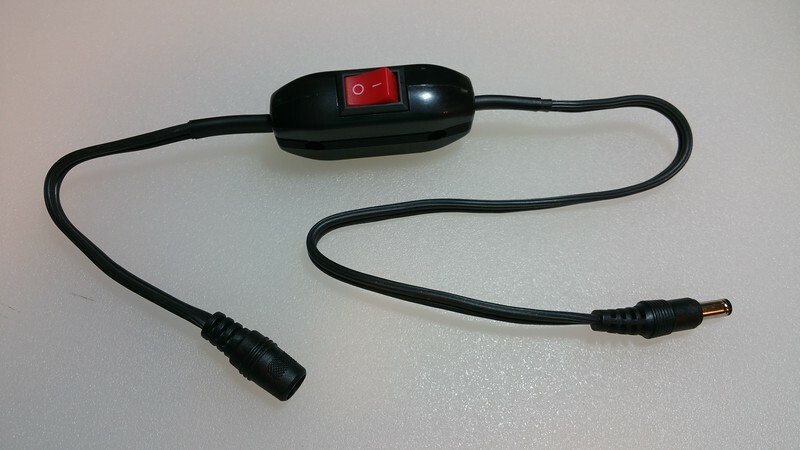 If you order from the eStore, your vest will come with an on/off switch cord and a battery harness. There are about 30 switch cords left. 2. 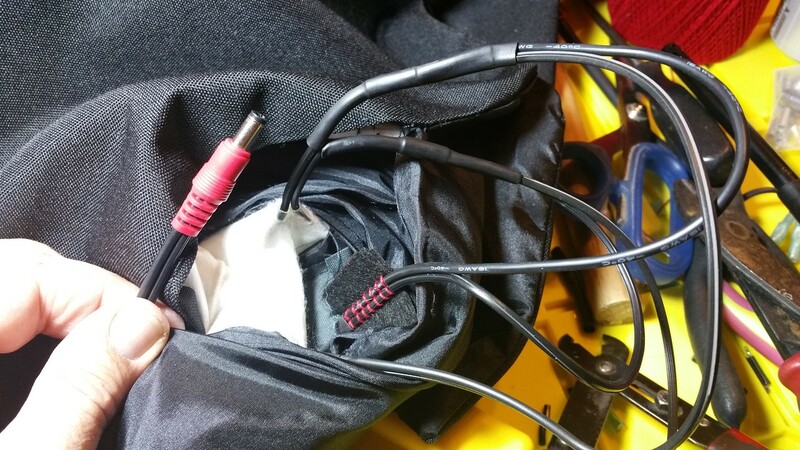 If you order from me, your vest will come with a 2.5mm coaxial plug installed to mate with modern controllers. You can also order the Warm & Safe Heat-troller of your choice through me.